Chicago's noise pop trio STAR are paying Hideout this Friday, February 1. I've met the members of STAR and have been loving their debut CD, Devastator, for a while, but this will be my first time seeing them perform live. If they are half as excellent live as they are on CD, it is bound to be a great time. 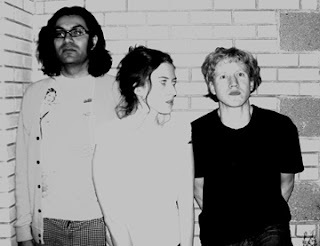 Devastator is full of fizzy, fuzzy, frothy noise pop with the guitar work of Scott Cortez, the airy vocals and lyrics of Shannon Roberts and the bass and percussion of Theodore Beck. 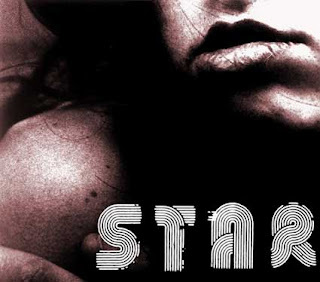 In some ways STAR reminds me of an amalgam of Jesus and Mary Chain and Cocteau Twins, which is a great thing. Pure Gold Reason has an open, grand sound the starts the disc nicely, moving into the catchiest number, Exploding Order. Slow-burner Switchblade Heart and the infectious Liars in Love are also highlights. STAR are set to release their second album, Violence Against STAR, this year. Shannon, Scott and Theodore are not only great musicians, they are also really cool people deserving of fans. Be sure to check them out at Hideout.